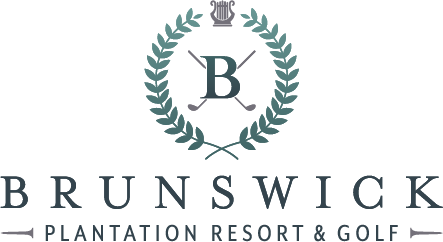 Brunswick Plantation & Golf is a full-service resort for family vacations and golfers. The resort features 3 newly improved golf courses right out your door as well as swimming pools, jacuzzi spas, fitness center, full pro shop, the onsite 19th Hole restaurant, and comfortable lodging with large decks, kitchens and a concierge at your service. The 1,700 acre plantation-style resort offers an elegant setting with southern charm at surprisingly affordable rates. Whether or not you enjoy the game of golf, you’ll love this quiet, private setting surrounded by lush open space with plenty of activities if you are so inclined. We take pride in providing the highest quality of service at the plantation. Our concierge is here to book tee times and customizable golf packages at over 90 golf courses in the area as well as daily green fee specials. Our knowledgeable front desk staff is available 7 days a week from 7am-11pm along with a full time maintenance team and on call staff after hours. Additionally, we offer flexible checkin/checkout times, negotiable minimum night stays, 24 hour cancellation policy, pretty much anything you need – just ask and we’ll do our best to make your vacation perfect. Located in Calabash, North Carolina, the plantation is on the northern tip of the Grand Strand just a few miles from the heart of Myrtle Beach, yet close enough to all the excitement offered on the Grand Strand. If you love golf, Myrtle Beach is the perfect place to hit the links. We offer three golf courses with 27 challenging holes right outside your door and a wide variety of Stay and Play specials for every taste and budget. There are also over 100 additional diverse and scenic golf courses in the Calabash and Grand Strand area, and we’re happy to customize a lodging and golf package just for you or simply provide information to help you plan your Myrtle Beach golf vacation. Our Calabash, NC Resort is guaranteed to be a memorable vacation destination for your entire family or group. Call us today at 1-800-332-8576 or request more info below and we’ll help you plan your ideal Myrtle Beach vacation or golf getaway! Check out our premier Stay & Play Packages including our 27 Hole championship facility, the Big Cats Courses, Farmstead, Carolina National, Crow Creek, Oyster Bay, River Oaks, and Whispering Pines.